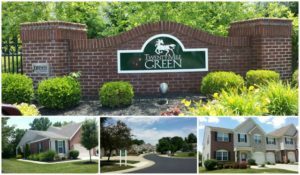 Warren County is fully into the Spring market! We still have an issue with a shortage of homes for sale, especially for buyers not in the market for new construction homes. Key stat? Almost half the homes on the market are under contract. A significant month to month increase in homes sold. Average price was about the same month to month, and median price increased. Time to sell was VERY fast for the homes under contract, with half that sold under contract in one week or less. 28 luxury homes sold ($500,000 or more in price). 2 of the 28 were over $1,000,000. New construction entered in MLS and sold was 35 homes, and that is just the number reported in Cincinnati MLS. Made to order homes are often not reported. New construction accounts for 171 of the 653 homes listed in MLS and NOT under contract. Distressed (short sales and foreclosures) continued to be minimal this month with 3 foreclosures and 0 short sales in the 333 sold homes. Currently the 653 homes for sale include 3 foreclosed homes and 1 short sales. Spring has been slow to arrive in Warren County, but it appears to FINALLY be here! Our flowers are blooming, trees leafing out and the real estate market is showing signs of increased activity. We’ve added some new homes for sale to the market, both new and used! Key stat? The slight increase in homes for sale. We need more on the market to suit buyers’ needs. The number of homes under contract increased, as did the number of homes sold. Prices increased on average, and slightly for the median price when comparing month to month. 20 luxury homes sold ($500,000 or more in price). 2 of the 20 were over $1,000,000. New construction entered in MLS and sold was 34 homes, and those are just the ones reported in Cincinnati MLS. Made to order homes are often not reported. New construction accounts for 163 of the 617 homes listed in MLS and NOT under contract. Distressed (short sales and foreclosures) continued to be minimal this month with 5 foreclosures and 1 short sales in the 286 sold homes. Currently the 617 homes for sale include 5 foreclosed homes and 1 short sales. With Spring comes erratic Ohio weather! We’ve got daffodils blooming and shrubs starting to bud…and snow in the forecast! With Spring comes the usual increase in real estate market activity. We’ve got a new listing on the market tomorrow and have another seller getting ready for a bit later. The key statistic this month? The huge jump in homes under contract. That’s a good sign that the buyers are ready for another strong shopping season! The homes for sale increased slightly net month to month, but new contracts offset most of the new homes on the market. Prices increased relative to February. 13 luxury homes sold ($500,000 or more in price). New construction entered in MLS and sold was 18 homes, and those are just the ones reported in Cincinnati MLS. Made to order homes are often not reported. New construction accounts for 174 of the 596 homes listed in MLS and NOT under contract. Distressed (short sales and foreclosures) continued to be minimal this month with 6 foreclosures and no short sales in the 244 sold homes. Currently the 596 homes for sale include 6 foreclosed homes and 2 short sales. Spring is coming! Our daffodils are about to burst open! Now the weather may be up and down, but hey, it’s Ohio, right? And with Spring coming, there’s usually an increase in Warren County real estate activity. Are we seeing the usual annual increase? What do the stats have to tell us about the Warren County Ohio real estate market? A VERY significant increase in homes under contract is a very good sign! The number of new homes coming on the market barely outpaced the increase in homes under contract. There’s still not enough homes on the market to completely satisfy buyer needs. When you consider that almost a third of homes for sale are new construction, the remaining homes and condos spread across the county often leave many developments with NO homes for sale. We’ve got buyers watching and waiting on specific communities to have a match. Prices increased relative to January, despite a scarcity of luxury homes being sold. Out of the 170 completed sales, ONLY 7 sold for $500,000 or more. New construction entered in MLS and sold was 16 homes, and those are just the ones reported in Cincinnati MLS. New construction accounts for 177 of the 572 homes listed in MLS and NOT under contract. Distressed (short sales and foreclosures) continued to be minimal this month with 5 foreclosures and no short sales in the 170 sold homes. Currently the 572 homes for sale include 9 foreclosed homes and 4 short sales. We’ve turned the page on January. Sun & Snow, Warm & Cold, enough up and down that some of our daffodil shoots are breaking ground. We’re seeing early signs of the real estate market picking up as we have two new listings of our own coming on the market next week. So what to the stats indicate for the Warren County Ohio real estate market? At first glance you might be a bit nervous about the market, but don’t let the numbers frighten you. The homes Pending number is increasing, and that’s a leading indicator of the coming busy season. Buyers were busy bargain shopping this month. Still not nearly enough homes on the market to meet buyer needs. Prices dropped, primarily due to the number of luxury homes of only 5 of the 141 homes sold for more than $500,000. And only 3 additional sold for more than $400k. So this month was heavy to the cheaper end of the price spectrum. New construction entered in MLS and sold was 10 homes, and those are just the ones reported in Cincinnati MLS. New construction accounts for 176 of the 563 homes listed in MLS and NOT under contract. Distressed (short sales and foreclosures) continued to be insignificant this month with 2 foreclosures and no short sales in the 141 sold homes. Currently the 563 homes for sale include 7 foreclosed homes and 4 short sales. Happy New Year everyone! 2017 is officially over so it’s time for our monthly market update of the Warren County Ohio real estate residential homes sales! It was -2 out this morning, so should we be surprised housing activity slowed during December? We expect the chill of home sales to continue until Spring’s typical ramp up of activity. As is the norm for the chilly time of year, the Warren County Ohio real estate market is slower. Much fewer homes on the market, longer time to sell, etc. THREE homes sold for more than $1 million, following up on the FOUR from November. Prices dropped, primarily due to the number of luxury homes accounting for only 14 of the 186 homes sold. New construction entered in MLS and sold was 26 homes, and those are just the ones reported in Cincinnati MLS. Made to order homes are often not reported. New construction accounts for 186 of the 579 homes listed in MLS and NOT under contract. Distressed (short sales and foreclosures) continued to be insignificant this month with 4 foreclosures and no short sales in the 186 sold homes. Currently the 579 homes for sale include 8 foreclosed homes and 3 short sales.